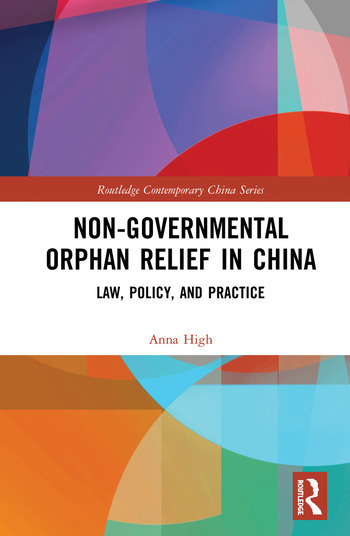 Based on field studies and in-depth interviews across rural and urban China, this book presents a socio-legal analysis of non-state organised care for some of China's most vulnerable children. The first full-length book to examine non-state organised care of modern China's ‘lonely children’ (gu'er), this book describes the context in which abandonment occurs and the care provided to children unlikely to be adopted because of their disability. It also explores the various faith groups and humanitarian workers providing this care in private orphanages and foster homes in response to perceived deficiencies in the state orphanage system, in the context of a broader societal shift from ‘welfare statism’ to ‘welfare pluralism’. Formal law and policy has not always kept pace with this shift. This study demonstrates that, in practice, state regulation of these unauthorised care providers has mostly centred on local-level negotiations, hidden rules, and discretion, with mixed outcomes for children. However there has also been a recent shift towards tighter state control and clearer laws, policies, and standards. This timely research sheds light on the life paths and stories of today's ‘lonely children’ and the changing terrain of civil society, humanitarianism, policy-making, and state power in modern China. As such, this book will appeal to students and scholars of Asian and Chinese studies, law and society, NGOs, and comparative social and child welfare. Anna High is lecturer in law at the University of Otago, New Zealand. Her primary research interests are Chinese Law and Criminal Law.